Home » » 2019 Election Petitions:The Judiciary can help Sanitize Nigerian Electoral System. | Raymond Nkannebe; Esq. 2019 Election Petitions:The Judiciary can help Sanitize Nigerian Electoral System. | Raymond Nkannebe; Esq. With the limitation period for the presentation of petitions flowing from the just concluded Presidential and National Assembly elections having closed a fortnight ago, and those of gubernatorial and Houses of Assembly elections closing on the 1st of April, 2019 save for states and local constituencies where supplementary elections were held on the 23rd of March, 2019, it is safe to conclude that the politicians have had their day under the proverbial sun, and have now passed the ball into the court of the judiciary who must now get to work in the next one year at least to determine the catalogue of petitions that have proceeded from the womb of the 2019 elections which in many ways brought to full glare and national embarrassment, the weakness of our electoral process. So bad was it, that some segment of the civil society posit that it is arguably the worst election to have been conducted in Nigeria since the dawn of uninterrupted democracy in 1999. Contrary to the situation in 2015, the victory of president Muhammadu Buhari is today a subject of litigation. Whereas former president Goodluck Jonathan made the now famous phone call to his opponent candidate Muhammadu Buhari when it became crystal clear that he was on the wrong side of the ballot, Alhaji Atiku Abubakar rightly or wrongly depending on the individual’s political bias, has decided to challenge the re-election of Muhammadu Buhari in court. In a 147-page petition filed on his behalf by a battery of very senior and distinguished members of the bar, Atiku and his Peoples Democratic Party (PDP), are asking that the result of the election as announced by the electoral umpire, INEC be nullified, and their candidate returned. According to them from what one gathers from the well laid out petition, on a proper computation of results from the polling units, it was the PDP and their candidate Atiku Abubakar, and not Muhammadu Buhari who won the election. They have made a heavy weather of having evidences which support this proposition particularly the smart card reader data from all the polling units across the country transmitted to INEC’s back-end server during the course of the polls. Beyond Atiku’s petition, a staggering 736 petitions challenging one election or the other, have been received by the election petition tribunals inaugurated by the acting Chief Justice of Nigeria, Tanko Muhammad, two weeks before the conduct of the election. This number understandably could increase as the final collation of results by INEC in Rivers state last week, has seen some candidates and their political parties angling to challenge the return of incumbent Governor Nyesom Wike. The climate of rigging and manipulation of election results in Nigeria added to the undue militarization of the electoral process by the incumbents who are often in control of the security apparatus often necessitates the challenge of elections by Petitioners on a number of grounds that have been laid down by the electoral law namely, that the person whose election is being challenged was not qualified to contest the election ab initio; or that the winner of the election did not score the majority of lawful votes cast at the election. Others are that the questioned election is invalid by reason of corrupt practices or non-compliance with the provisions of the Act; or that the Petitioner was validly nominated but was unlawfully excluded from contesting in the election by the electoral umpire. See section 138(1) )(a-d) of the Electoral Act, 2010 (as amended). It is however not in the fleshing out of the grounds of the petition and the particulars in support of same that the Petitioners often run into a problem but in the leading of evidence to establish to the required degree of proof, the often serious allegations contained in most petitions such that could eventuate into a return of the petitioner by the tribunal as was recently seen in the Osun state election petition tribunal which nullified the victory of incumbent governor Gboyega Oyetola in favour of Senator Ademola Adeleke. This writer however understands that decision is a subject of appeal at the Court of Appeal sitting in Abuja. A holistic appraisal of the election petitions that have made their way to our courts and/or election tribunals as far back as the cases of Omoboriowo v Ajasin (1984) 1 SCNLR 108; Obih v Mbakwe (1984) LPELR-2712 (SC); Nwobodo v Onoh (1984) 1 SC 1; Buhari v INEC (2008) 19 NWLR (pt. 1120); Ojukwu v Obasanjo (2006) (EPR) 242 to name a few, will readily reveal the near impossibility of upturning an election through the courts. A petitioner almost always finds himself contending with a large body of case law and statutory provisions that literally excuses and/or explains away the electoral infractions complained of in his petition. Save for a handful of cases where a petitioner was returned through the tribunals, thousands of petitions go to court at every election cycle without any success. Perhaps the circumstances of the 2007 general election puts the difficulties faced by a petitioner in proper context. Despite the winner of that very controversial election acknowledging that the process which brought him to power was fraught with widespread irregularities and gross manipulation of the electoral process, it is ironical to say the least, that the challenge of that election at the presidential election tribunal by then General Muhammadu Buhari came to nought. Such is the lot of the Petitioner. The sad consequence(s) of this is that it has helped to fester the culture of rigging across board. The Nigerian politician having understood how difficult it is to upturn an election through the courts, has devised even more brazen and disingenuous means of rigging him or herself into power and thereafter, dare their opponent to go to court to challenge the victory. Anyone who has had the privilege of studying the electoral forms from our shambolic elections will readily come to terms with the fact that elections in Nigeria are basically a riggers affair. It is the candidate who is able to out-rig the other through any means whatsoever that is often declared the winner thus making a mockery of our democracy. In a bold attempt however to improve the sanctity and integrity of our electoral process and to the credit of former chairman of the electoral commission Alhaji Attahiru Jega, the smart card reader was introduced in the 2015 general election to checkmate the recurrent problem of multiple accreditation of voters against the spirit of the voters register. The genus of the smart card reader machine was to ensure that only bio-metrically accredited voters could cast valid ballots at the polling booths. It was thought that it would solve the recurrent problem of multiple thumbprinting by unscrupulous elements who lend themselves to politicians who prostitute the electoral process. But the legality of the smart card reader as an instrument for the conduct of elections was to evolve into a serious constitutional debate on the back of the petitions that made it to the election tribunals following that round of elections. In the case of Nyesom v Peterside (2014) 5 NWLR (pt. 1430) 377 a full-bench of the apex Court despite acknowledging the motive behind the introduction and use of the card reader machine in an election, which needless to say was to bolster the democratic norm of “one man one vote”, went ahead to strike it down for having derived its efficacy from the INEC guidelines which obviously was in conflict with section 49(2) of the Electoral Act 2010 (as amended) which nominates the voters register as the instrument of accreditation of voters and proof of over-voting by a person challenging an election. In answering the question whether failure to use card reader for accreditation of voters can invalidate an election, the apex Court Per. AKA’AHS held instructively as follows, “the introduction of the card reader is certainly a welcome development in the electoral process. Although it is meant to improve on the integrity of those accredited to vote so as to check the incidence of rigging, it is yet to be made part of the Electoral Act. Section 138(2) envisages a situation where the Electoral Commission issues instruction or guidelines which are not carried out. The failure of the card reader machine, or failure to use it for the accreditation of voters cannot invalidate an election. The section provides as follows: “138(2) an act or omission which may be contrary to an instruction or directive of the Commission or of an officer appointed for the purpose of election but which is not contrary to the provisions of this Act shall not of itself be a ground for questioning the election”. With the above sentiments of the apex Court, many of the petitioners who went to court in the last cycle of election hoping to make a case out of the non-use of the smart card readers in the accreditation of voters at the polling units found themselves on the wrong side of the law, and severally paid with a dismissal of their petitions. Unfortunately, none of the petitioners drew the attention of the apex Court to the amendment of section 49 (2) of the Electoral Act which was signed into law by former president Goodluck Jonathan on the 20th of March, 2015, just 8 days before the holding of the general election. 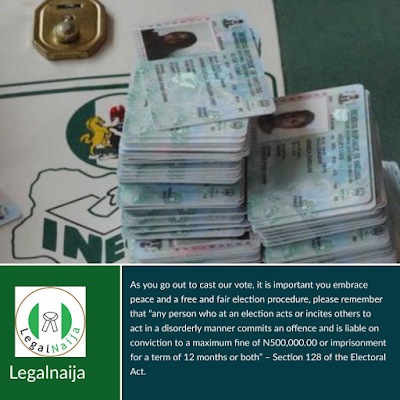 On their part too, the judex did not take judicial notice of this amendment to the principal Act which legitimized the use of the smart card reader for voter accreditation; the very basis upon which the Court upheld all the disputed governorship elections conducted by the INEC on April 11, 2015. Having said that, the 2019 elections and the petitions trailing it, provides another window of judicial activism for the judiciary which has the potency of revolutionizing our electoral process and by extension, our nascent democracy. With the countrywide criticisms that have greeted the conduct of the just concluded general elections ranging from selective use of the smart card reader machines in some places and the outright thumbprinting of ballot papers in the quarters of party chieftains and what not, in a barefaced prostitution of our electoral process, suffice it to say that the ball is effectively in the Court of the judiciary to rise up to the occasion in ensuring that not a single illegal vote counts in the return of a candidate. A simple way to do this, is to ensure the fulsome recognition of the data from the smart card reader machines and using same as a benchmark for reconciling the total votes cast in a polling unit so as to check against over-voting which was perpetrated by politicians with reckless abandon in the just concluded 2019 elections. In places where the smart card reader machines malfunctioned and thus were not used, the tribunals must ensure that the procedure enumerated by the electoral umpire on how voters in such polling units should cast their votes, was applied to the latter. Anything otherwise, must of necessity lead to the cancellation of the results from such unit as consecrated by the relevant provision of the Electoral Act 2010 (as amended), and the Guidelines of the electoral commission 2019. Instructively, the apex Court in the Nyesom v Peterside case (supra) acknowledges that the innovation of the smart card reader machines was well intentioned in that, it was calculated to improve the integrity of our elections. The petitions that are now lying before the several election petition tribunals across the country, provides an opportunity for the judex to uphold the smart card reader machine and lend it the much needed judicial imprimatur which counted against its usage in the last cycle of elections, irrespective of the consequences for the individual poll where it is applied. At a time when it has been shown that the executive and the legislature are enmeshed in a dark conspiracy to the detriment of our democracy, such as was seen in the circumstances under which assent to the Electoral Act Amendment Bill (2018) was refused by president Muhammadu Buhari, the judiciary can step in, in its hallowed capacity as the avowed defender of any democracy to sanitize our electoral system. This is what Nigerians who are increasingly losing confidence in our electoral process earnestly asks of the judiciary. 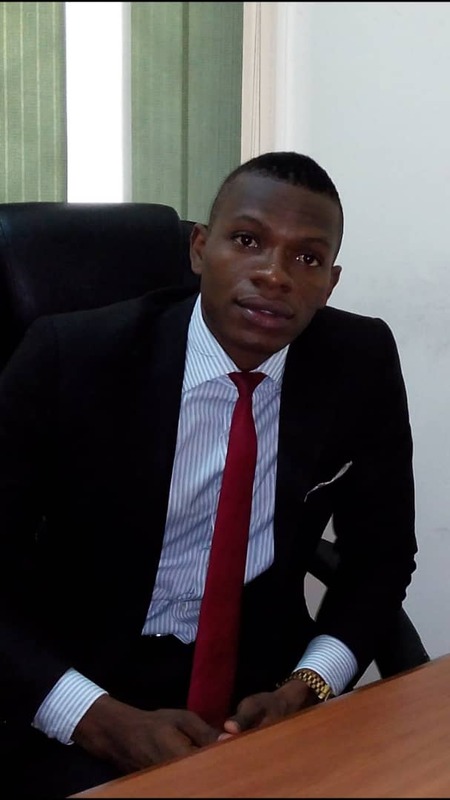 Raymond Nkannebe; a legal practitioner writes from Lagos.